Wikipedia editors have expressed "shock and dismay" at the discovery of hundreds of user accounts set up to make paid-for entries. Paid-for advocacy and the adoption of fake "sockpuppet" identities for promotional purposes are against the free web encyclopaedia's policies. Sue Gardner, executive editor of the Wikimedia Foundation, said "as many as several hundred" accounts were suspect. Editors have blocked or banned more than 250 accounts, she added. "Our goal is to provide neutral, reliable information for our readers, and anything that threatens that is a serious problem," said Ms Gardner. "We are actively examining this situation and exploring our options." Wikipedia considers paid-for advocacy a "black hat" practice, she said, that "violates the core principles that have made Wikipedia so valuable for so many people." The Wikimedia Foundation is a non-profit organisation that operates Wikipedia, a free online encyclopaedia. According to investigations by the service's editors, most of the disputed entries appear to originate from a US company called Wiki-PR, which claims to "build, manage, and translate Wikipedia pages for over 12,000 people and companies." The editors say promotional entries - which were posted by an account called "Morning277" as well as by others - have been commissioned by Silicon Valley dot-coms, small financial institutions, authors, medical doctors, a musician and an oil company, amongst others. Citations are taken from a number of blog-like websites that accept "citizen journalist" material, including CrunchBase, DigitalJournal.com and Technorati.com. Entries "often have a promotional tone and always contain material that is either neutral or that is flattering of their subjects, never material that is critical or negative," Wikipedia said. 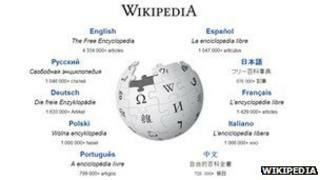 However, Wiki-PR disputed the idea it had broken Wikipedia's rules by promoting or advertising its clients' agendas, saying it merely wanted to ensure they were "presented accurately" on the site. "The PR in Wiki-PR is a misnomer - we're a research and writing firm," Jordan French, the firm's chief executive, told the BBC. "We research the subject and write in an accurate and properly referenced way about it, filling a hole at Wikipedia for many subjects - concepts, companies, people, even astronomy - in which other editors lack an interest. "We're part of the fabric of Wikipedia - an integral part - and useful where volunteers don't want to or cannot put in the time to understand a subject, find sources, code, upload, and professionally monitor a page. "